Website Support and Feedback / Why is there a picture of a slice of cake in my profile info??? You know what- Im ok with it.....I am a huge fan of cake and all of its recent work....Sometimes I carry a fork in my pocket Just incase I have an encounter with a slice of cake. But....um.....why is there a slice of cake next to my age in my profile? Is it because I am sweet? Its under the "banana stickers" number....so.....does that have anything to do with it? Did GLaDOS hack into my profile again.....because I told her that it was over. Central Ohio mage warriors......where you at?! Player looking for a group/other players! Any ideas/comments are welcome and appreciated. Creative / Hey guys! Check out my nerd phone! THese are screen shots from my phone- I am uploading them to BGG- so if you see them on there- thumbs the bad boys up!!! This is my home screen. This is my home screen with the titles to my apps showing.......to show they are apps I guess! My apps that look like Spellbooks! 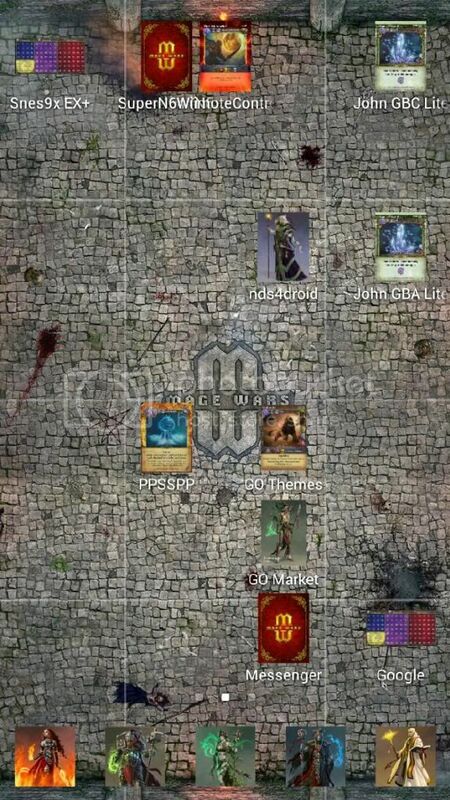 And my second dock (The bottom apps) with even more mages! 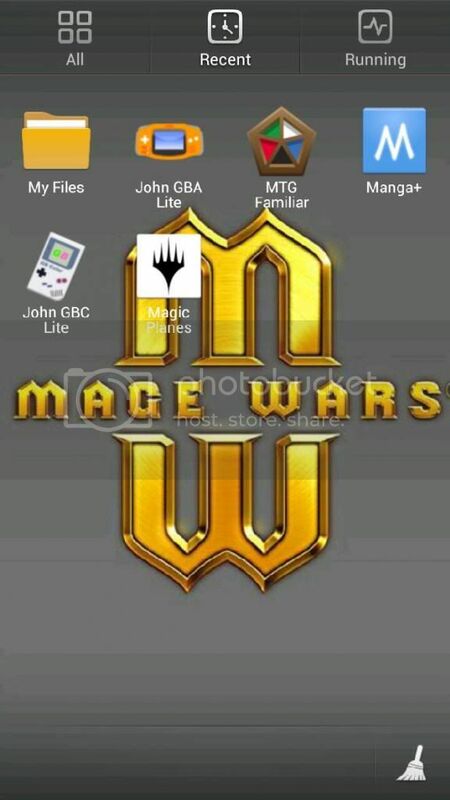 My app drawer with the official MW wallpaper! 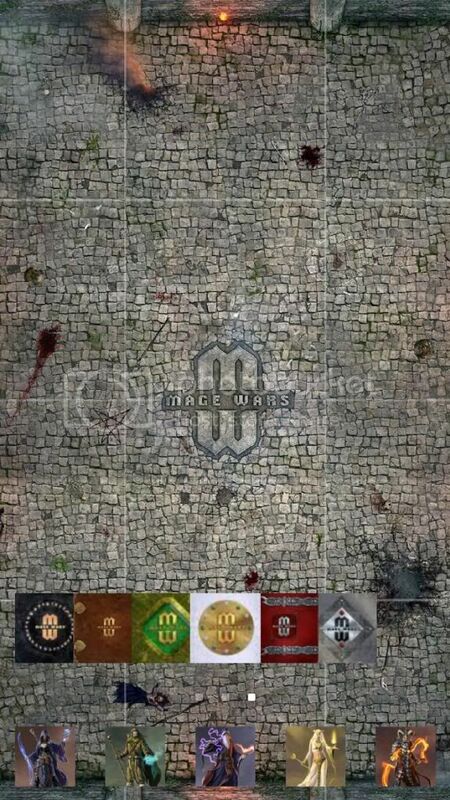 My unlock screen is the back of a MW card- But I cannot take a screen shot of it!! I hope you guys liked it! *Disclaimer* I am just BSing for fun- Not that I wont try my variants, because I will, and I am not posting for no reason, because I want to hear opinions and get good ideas if people are willing to give them, but I am not trying to do anything serious, just trying to have some fun. Just thought I would say something since some people try really hard to make good variants..and I am just Sort of half assing it. Ok! So some of us have used miniatures in place of the Mage Wars cards right? Well I was thinking of doing something a little different. You would still use the "Corner of the zone" rule from mage wars for LoS, but if your mini is behind a wall- that counts as blocking LoS. Its really just a way to make more use of coverage and tactical placement- and give me a reason to play with my minis and maps! INB4- thats just dumb Darth...... I made a Disclaimer. I was wondering if anyone besides me had taken their spell book, shuffled it, drew 7 cards, and played it like a TCG. I played it more like MtG- Play as many creatures as you want (I.e No zones or circles) play enchantments on creatures that can be legal targets, play conjurations like you would an artifact in MtG. And ignoring any sort of range rules in the game. The big rules different from MtG was- the attacking monster chooses his target for his attack. Now obviously this game is in no way balanced by any means, but again...funsies. So.....anyone have any good ideas for this style of play? Or has anyone else gave it a shot? My game worked out well, but I played using the pre-build spellbooks. What I am thinking is- taking that, and applying it to a variant that works like some Minis games that use warbands. SO, you would have a set creatures (only creatures) that you start the game with that cost a certain amount of mana (Say 100) all in your starting zone (With your mage) and go from there. And here is the kicker- Thats all the creatures you get to use for the entire game. If you destroy your opponents creatures (Or conjurations)- you get that creatures mana cost in "Victory Points" the first one to get to a set number of victory points wins the game. (Say 3/4 of the warbands cost limit: so if you start the game with a 100 point (Mana cost) warband, 75 victory points is needed. I was thinking the mage would have a cost equal to its life- but not count for the warband building, just as the cost for the victory points. I think it would be fun on a bun! I loved the D&D/starwars minis game, and loved building warbands, so I think this would be fun. I know you are out there!!! I keep tabs on Mage Wars products sold...and some one who isn't me or my group is buying copies. Hobby Town USA. said that they would run OP if I could get some more interest. There is also a Wednesday "Play any game you want" day, that could get us started. Creative / $6 magnetic status board. The magnets and note board were $3 at Target. The mage status board is only being held up by the four magnets....Im holding it upright with no problems, holding it upside down there was no problem. If you wanted you could use double sided tape to hold the status board on there, but Im fine with how it is. Its not moving!  Im getting a Error 500....I dont know why I cant post pictures on the site.....Ill send a link after BGG approves it. General Discussion / Altered cards question. What is going to be the ruling (in tournaments) for Altered cards? I am a huge fan of them and I wounder what the ruling will be. (Like when people take a card and paint a new picture on them.) I dont know how many people will alter their cards, as the mage wars cards have far more detail then your average card game, but Im sure someone will do it. My opinion would be if the text is clear and not altered in any way, its fine. General Discussion / Other than fantasy based themes. Creative / My solution to the ever moving status cubes! I posted this on BGG, but will post it again here! With the status cubes I had a lot of trouble with them shifting around, so I use these instead! I even ran into the table,watched two action markers roll off and on to the floor,and these didn't budge at all!I also like how you can see the numbers through them. Its hard to see that they are all different colors but they are;Orange-channeling. Blue-mana. Clear-damage. Red-life. I posted this on BGG, but I thought I would post them here! Is any one else hoping that the Archmage (a mage that is so strong that it can face three other mages) has a "Archenemy Deck" like the variant from MtG? I love Archenemy and being the archenemy (Im a sinister DM) and I would love to play the archmage with some kind of special deck for him that is activated every turn that puts "free" creatures on the board, or drain all enemy mages mana or gives the archmage extra spells for a turn. Im going to assume he will have more mana and spells than all the other mages but I hope there is a turn by turn extra deck system that will go into the game as well.